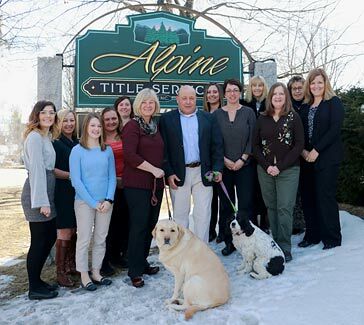 "We get you to the closing"
Alpine Title Services, Inc. is located in the Mount Washington Valley in the Town of Conway, New Hampshire and is locally owned and operated by Matt and Vicki Weegar since 2002. We are a full service title company with a team of professional closing and title specialists including our own staff attorney. We are ready to serve you from start to finish with experience in handling all aspects of your real estate transaction. We provide services to individuals, realtors, lenders and all others in need of services in purchasing, refinancing or developing residential or commercial real estate. Year after year we pride ourselves on our consistency in quality and experience. Our staff has over 176 years combined real estate experience in the lending and title services industry and we use this experience to provide for a smooth transaction. Our unsurpassed "know how" and resourcefulness ensures that residential and commercial transactions close successfully. We are always available to our clients making sure they are satisfied and receive the best service available. We have strong relationships within our communities and beyond and we know how to get you to the closing table. We provide services throughout the entire State of New Hampshire as well as southern and western Maine. We will conduct the closing at a location most convenient for the parties involved whether that is in our office, at a lender or realtor's office, or a mail away or email away closing when allowed. 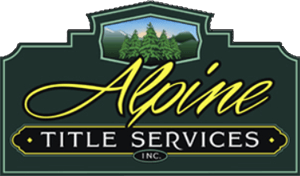 Alpine Title is an active member of the White Mountain Board of Realtors, the Lakes Region Board of Realtors and the North Country Board of Realtors. We are also active members of the Mt. Washington Valley Chamber of Commerce and the Littleton Area Chamber of Commerce. Alpine is a certified Registered Agent with Closing Insight and is recognized as an Authorized Agent with First American Title Insurance Company.